1 – Three points of the Trefoil stand for the three parts of the Scout Oath. In the early days of scouting, there was no Scout rank for beginners and Tenderfoot was basically considered a temporary rank for those who had not achieved anything higher. The earliest insignia for Tenderfoot rank were pins which were worn on the hat and uniform. In 1921, the first cloth badges were issued. 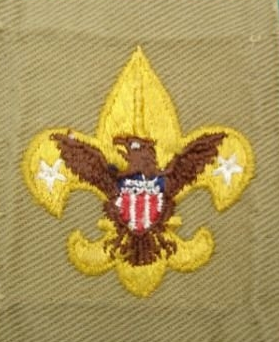 These were cut cloth patches similar to early merit badges. The only Tenderfoot insignia that are really difficult to find, and hence valuable are the very early designs with cut cloth edges, anything with an embroidered or rolled edge will be pretty common. 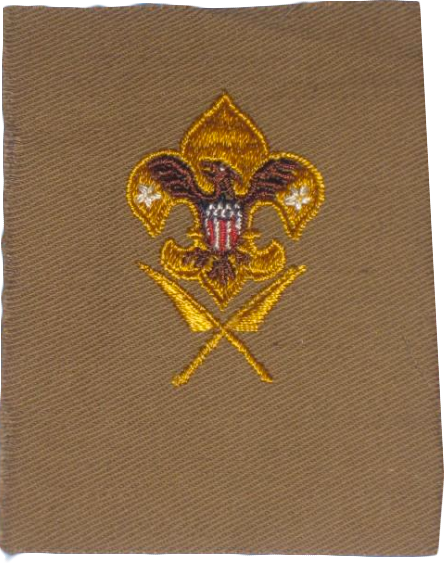 The most valuable Tenderfoot cloth badges are actually a rare exception. 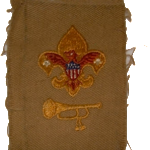 While there was no official Tenderfoot cloth badge until 1921, there were combination Scribe and Bugler insignia for a Tenderfoot that were issued as early as 1916 & 1917 and up to 1925. 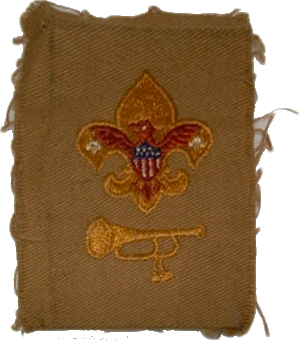 These combination badges can be found in either Gold thread in the Fleur de Lis for a Tenderfoot Scribe or Bugler, or in Silver Thread if the Scout was a Patrol Leader in addition to being a Scribe or Bugler. *Click the images above to see a larger version. 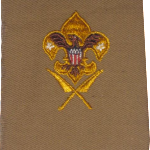 There are over 8 different types of Tenderfoot cloth badges documented and many of those have several variations within that type. Without samples to compare a patch to, it can be very difficult to identify specifically which type of patch you have and therefore to determine its value. 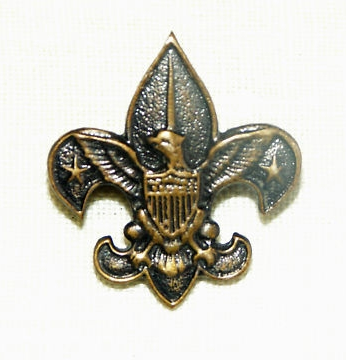 We are happy to assist you with the identification and appraisal of Tenderfoot Rank Insignia as well as other Boy Scout items, please feel free to Contact Us by sending pictures, scans, or other images of your items for help.